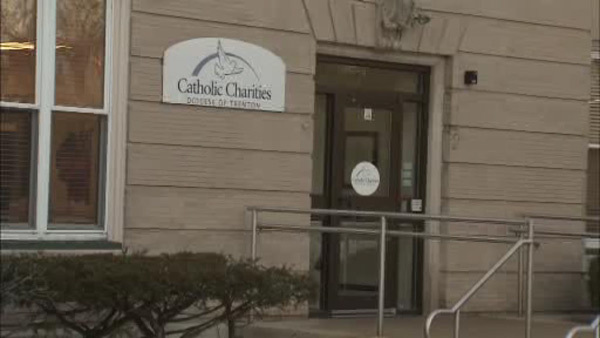 TRENTON, New Jersey -- A human fetus was found inside a box outside a Catholic Charities' office in Trenton, New Jersey, police tell WPVI-TV in Philadelphia. Police received a call at 12:07 p.m. Wednesday from Catholic Charities reporting the discovery. The box was found by a worker in the building on the 300 block of West State Street. Police say a note was attached to the box. It mentioned a miscarriage and a person being unsure where to take the fetus. The fetus was transported to the medical examiner's office. Catholic Charities is a private nonprofit that offers mental health, social and crisis services to individuals and families.